History as an Instrument of Policy: Are there two Different Post-World War II European Grand Narratives? 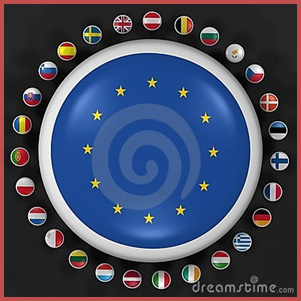 The European Union was born as a viable polity in the early 50s, a few years after World War II. Some scholars claim that seventy years is too short a span of time on which to construct a grand narrative. Therefore the EU presently has no grand narrative. It is a mere construct put together to prevent future catastrophic wars and for economic reasons. The argument continues: this fact ought not be considered a liability or a deprivation, for it leaves the EU free to imagine and construct a wholly new narrative, one radically different than the one which used to apply to so called Old Europe mired in thorny historical traditions and heritages, the traditions that went all the way back to ancient Greece and Roman Law, and Medieval Christendom, the Renaissance and the Enlightenment. The argument goes on: there are now no symbols, no myths, no cultural traditions to hamper in any way this new original polity based on the most progressive ideas of modernity. In other words, as never before, there is now available new wine for old bottles. It’s a new dawn for Europe. 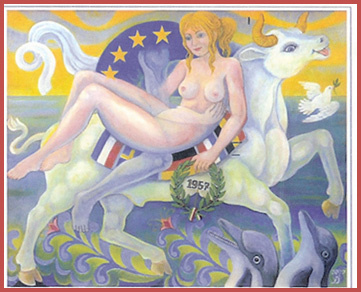 But wait a minute: is that not a myth in itself redolent of the birth of Europa’s journey? 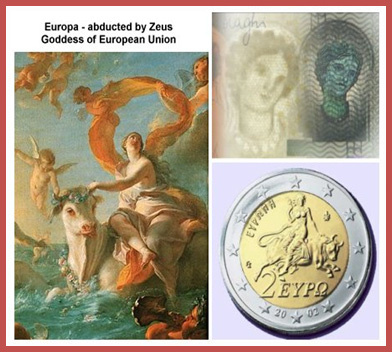 Moreover, it is worth pondering the fact that this new polity called The European Union contains in its designation the word “European” which means that there is an historical connection between this new Europe of post-World War II and the Old Europe. How that connection is interpreted will determine the very nature of the new narrative or the new history for the new Europe. Which also means that history is no longer the privileged domain of historians. Vico could have predicted that much three hundred years ago: the time when history would become a public issue and an instrument of politics. I submit that there are at present two possible interpretations of the origins of the New Europe and they in turn depend on the interpretation of the grand narrative that is World War II. One interpretation springs from the West of Europe and the other from the East. The way they commemorate and celebrate World War II is dependent on how they interpret the victory of that war and will yield two different narratives and two different commemorative ceremonies. This state of affairs was most apparent in the commemoration this year (2015) of the sixtieth anniversary of the end of World War II in Moscow. There are also two different dates for the commemoration: May 8 and May 9 and they designate a new start for two different postwar societies: the Western Alliance and the Soviet Union. Those different dates have been a touchstone in the dominant victory narratives and foundation myths of those two European postwar societies. It represents for them a rupture and a new start, a source of legitimacy for competing hegemonic claims which gave rise to the Cold War. The experience of World War II was constitutive for the development of the European Union. Former arch-enemies had to be embraced into a community of mutual interests in order to render another war impossible. The success of the community was based on consent to the division of Europe, with the consequence that the other half of the continent was written off, and, with the blessing of democracy, peace, and economic upturn, kept out. It was only with the unexpected collapse of the Soviet empire that eastern Europe re-entered the European Union's expanded political horizon. In May 2004, after long negotiations, another eight countries in the region could be admitted. With the entrance of the Eastern European countries into the EU, the comfortable historical consensus long obtained within and among western European countries was undermined. The reason was that 1945 has an entirely different meaning for most citizens of the states admitted to the Union in May 2004. For them, 1945 is an ambiguous date: it means a transition from one occupation to another, from Nazi rule to Soviet rule. This was bound to spark a heated controversy about the interpretation of their own histories. In the Baltic States, from one point of view, the interpretation was one of collaboration, from another point of view it was resistance. The debate is ongoing and will surely be decisive in forming new cultural identities and historical consciousness needed to overcome centrifugal political forces militating against the union. A debate is needed on a comprehensive twentieth century European history. So fare it has been lacking and consequently the EU center does not hold very well and quite often the new member states are internally at odds with each other. And then there is May 9. 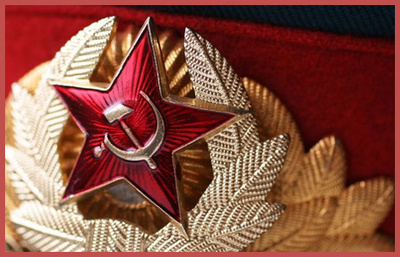 Russia which was a victor in World War II, and a loser in 1989 hangs on to the myth of the Great Patriotic War – the last achievement of the Soviet Union which is hardly discreditable despite the ideological wars of the Cold War. It wants to desperately hold on to the world order established at Yalta. Doing so allows it to maintain its claims upon the whole Eastern region. This too is a myth and a narrative which provides national confidence and legitimates the repressive authoritarian character of the centralized social order. This celebration of the Great Victory can hardly be reconciled with the perspective of the West. Moreover, when Putin visited Auschwitz in January 2005 his rhetoric made quite clear that he wished to resuscitate the Soviet myth and place it in a historical continuum with imperial Russian history and the global war against terrorism. Within this perspective Russia’s neighbors (notably the Ukraine) may appear as occupied territory formerly part of the Greater Russia. In conclusion, we can safely assert that there exists a plurality of narratives, myths and symbols in Europe, but not that there are none. If anything there may be too many. Symbols will cease to exist only when we have arrived at the end of time. But, despite Fukuiama’ s pronouncements on the death of history, it appears that, as long as we humans live within time and space, history will remain a sine qua non, and that Jung was right on target when he wrote that while man makes symbols, myths, and grand narratives, the opposite is also true: symbols, myths and grand narratives make man. What remains for us to do is to place those myths, symbols and narratives on the table for an open discussion within a communal space that transcends national xenophobic boundaries and aims at the common good. The European Union has thus far been an unecessary and unrealistic utopian vision, or illusion that has thus far been projected onto the everyday European common man and woman, with many narratives and grand myths swirling, being plucked from the air in its construction like a Frankenstein's monster. The common man was happy enough with some kind of association to bring some economic benefits via formalising the trading and economic systems, and would have been happy with just that. The European political,economic ruling elite has foisted this straight jacket called the EU onto everyone, and in the harsh light of the day more than a decade later, Europeans have seen none of the promised benefits that have been promised, save for a few nations. Europe already had a grand narrative via the individual traditions of each nation and it didn't need a grand salute to the Holy Roman Empire constructed as a bulwark against Europeans potentially starting new wars; the wars that Europe has gone through were enough of a deterrent. The EU as is stands is an illusion with so many economic, financial and political faults and disadvantages, that most of the economic and political academic world doubt that it can realistically last. We have 4,000 years of narratives running in Europe, we don't need a new badly constructed piece of 30's fascist kitsch architecture to give direction to our identity. Better that the EU fails and reinvents itself as a loose trading confederation rather than turning into a fascist big-brother superstate jutting its nose into the everyday life of the ordinary Eueopean. One would say that these reflections might be pessimistic? Indeed they are not, but simply a realistic vignette that is reflected secretly in the pit of every Euroropean's stomach. For at the end of the day, the elites went too far with the EU. Once it fails, it can be re-ordered as it should have been. A loose confederation where power is decentralised, sovereignty and democracy the highest goal,and the promotion of free trade and the choice for every nation to choose the Euro or their own currency as it suits them, for the Euro at present is killing many nations. 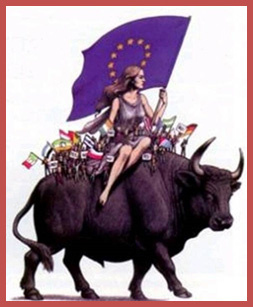 This is what the EU should have been, and not what it has become. Thanks for this thought provoking articles. Thank you Nikos and Gerard. The follow-up to this exchange is in today's Ovi 61st Symposium (9/24/2015).